In a society that’s built on credit, the idea of raising our kids to reject the idea that borrowing money is a normal, everyday thing that’s to be expected. However, it’s also becoming increasingly hard to do. It’s especially hard when you look at it from a generational standpoint. The parents who are raising kids today are a mere three generations removed from the Great Depression. At first glance, that may seem to be long ago, but today’s young parents feel the ripples from that huge impact more than forty years ago. Look at parents of young children today: The millennials. They grew up with baby boomers (and maybe some older Gen Xers) for parents. Baby boomers were taught by their Depression-era parents from a young age that money was a commodity, and to work hard and save as much money as they could, to buy everything in cash, and to be as frugal as possible. Naturally when these baby boomers became parents, they raised their kids with similar principles but in a much more prosperous time. It was okay to borrow money, and student loan debt was just a part of life. Well, now that the economy has taken a nosedive and only recently begun to recover, millennial moms and dads are looking to raise their kids with their own mistakes, and the mistakes of their peers in mind. They want their kids to be well-rounded, money-conscious members of society, but over the generations that society has become burdened with debt. 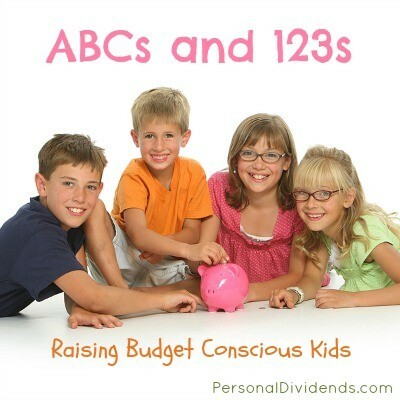 Here are a few tips for raising budget conscious kids. Much of what children learn about life they absorb from their parents — at least 97 percent, according to the 2013 Parents, Kids & Money Survey from T. Rowe Price. Make positive decisions in your own finances, and let them see that. If your kids perceive your spending habits to be all over the board, they’ll learn from a young age that’s how money works. In that same vein, as they get to late elementary school and middle school, start filling them in more on the family finances. Take care to not worry your children when it comes to money. That being said, it’s important that they understand the way you as parents handle the household finances. When kids understand the value of their household, including the cost of the mortgage, utility bills, and grocery costs, they will be more apt to a) help conserve costs around the home, and b) understand how to manage their own household when the time comes. And kids want to talk to you about it. The aforementioned survey showed that 38 percent of kids say they wish their parents talked to them about saving and making more money. Make money a comfortable topic to talk about, so your kids will be comfortable handling it as they get older and gain more responsibilities. While there’s something to be said about living in the moment and taking things as they come, by coaching your kids to look to the future as they decide how to handle money from a tender age, you’ll set them up to do that for the rest of their lives. Instead of focusing on short-term needs, focus on behaviors that shape spending habits, and address them accordingly. So when you give them $20 at the toy store, before they run off to spend it all, coach them through the decision. Ask them things like, “If you spend all your money today, what will you do next time you want to buy something?” And let them make the decision to save half of it for later. Many parents give their children a weekly or monthly allowance to help them learn how to handle their own money. At the same time, they often fall short of achieving that goal and end up simply handing cash to their kids to spend as they wish. Instead of just handing them money, consider walking them through a scaled down investment plan. Have a savings jar to save money indefinitely, a fun money jar where they will save money for a specific event or item, and an investment jar, where you will match a percentage of the balance, raising the balance similar to a real world investment plan. This way they will be able to physically see their money piling up, and will understand the importance of that. It’s never too early to teach your children the value of saving money. Implement these tips as soon as you can, and they will be on the right track to growing into responsible, money conscious adults. Jane Miller is a freelance writer who loves to write about anything from tech to mommy stuff. She is featured in many blogs as a guest writer, and can write with authority on any niche or subject.